My love of holy cards, and how they are a part of my office decor. 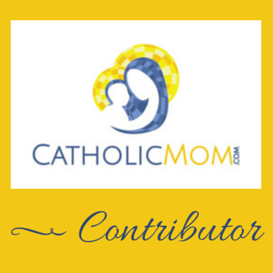 Seeking your experiences with living out your faith in your particular workplace! So dear listener, have at it! What is your experience with faith at work? We'd love to hear from you. I've mostly worked for a church-run thing so that's never really been an issue. When I worked as a cashier, obviously I shared a register and all I had for personal affects was a locker which I had to share. So I never thought to display/carry a Bible or holy card or anything. I wore religious jewelry which nobody cared about. It was similar when I worked in a day care. There was no personal space really. I had my own classroom, but there wasn't a desk or any allocated personal work space. I had to keep my purse in a locked cabinet which also had art supplies and nap mats etc. Nobody cared about my religious jewelry. My boss did think that I was religious outside of that because I always dressed up for work (given that I had a background in teaching and you dress up). She thought that it was against my religion to wear pants. After that she encouraged people to wear scrubs so I started dressing down. But that's the only time anyone out of curiosity asked me anything. And it wasn't even over a religious thing technically speaking. It was more that I assumed that in the teaching profession (regardless of age) that everyone should be business casual. Apparently not everyone shares that belief. Interestingly enough one of my co-workers was a Catholic Spaniard, the owner was Presbyterian (if I remember correctly), another co-worker Evangelical, and my boss was Methodist (again my memory), so despite it being a secular day care many people were some form of Christian. Wearing crosses and the like was totally normal. Hi Delta! Thanks for chiming. You have a nice range of experiences to draw from. That's interesting about the dress at your day care job. I *always* assume business casual for most places of work, unless it is obvious that the dress is straight-out business formal, or there is a uniform for your profession. Interesting. No. We didn't have a uniform at work. The staff usually wore casual clothes until she suggested scrubs. The scrubs made sense since they are uniform-like and they are designed to handle staining. When you deal with paint, poop, vomit, mud, etc, you want something that can handle that better. Some day cares in the area have aprons for their staff. The ladies who run child care at the Y wear polo shirts with Y insignia (or t-shirts if there's an event they are promoting) and khakis (or a long skirt). So business casual. Just a funny story: In college I asked my professor what I should wear to a master class. I could have sworn he said "casual" but I think he really meant "business casual" so I showed up wearing a t-shirt and jeans while everyone looked nicer. We had a lovely discussion about that later as we were equally embarrassed. I think a part of every person's job training (whether college or vocational tech) should include different styles of dress. I imagine even car mechanics need to know what business casual is for both job interviews and in case they end up behind the counter instead of under the hood. These days I'm not sure that message of professional is getting across. And Canada was the worse. I can't tell you how shocked I was going to McDonald's and they had uniforms! Just my two cents. "Pope John Paul said 'Be not afraid'" I replied. Looking up suddenly, Brad said, "I heard he was a pretty good guy." "Hey Phil, it's Our Lady of Guadalupe day!" "It says it right here!," pointing to the date. "So, hey, Phil what's that all about anyway?" "You want to know about Our Lady of Guadalupe at six in the morning?" So I gave him the best condensed story of the apparitions I could muster at that hour, including how the miraculous image converted the pagan Aztecs to Christianity, which confirms how the Blessed Virgin leads us to Jesus, not herself. Brad thanked me and went back to his work as I processed the whole thing. "Uh, Jesus, that you guys say rose from the dead- do they say how many people saw him afterward?" WHERE did that come from, I ask myself. And that shows that we may never know in this life what happens to the seeds we plant. Brad left the company last year, and I think of and pray for him. These days religion and politics are still pretty taboo at my plant. Maybe not politics now. :) I have no desk at work, but have a holy card on my dashboard of the car and a crucifix hanging from my front mirror. 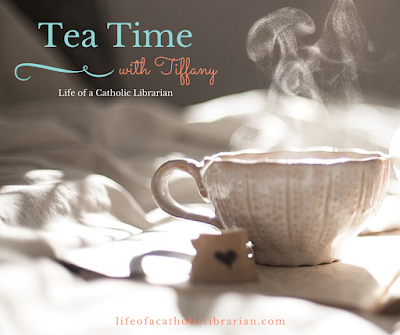 Thanks, Tiffany, for reminding us that our faith is to be lived in all areas of life. Phil!!! I am SO glad that you chimed in on this one! You certainly have a wealth of experience to draw from. I agree, one never knows how those little seeds work that come up in our day to day interactions. I think it's lovely that Brad has you to pray for him, even though he works elsewhere now. :) Oh yes, the car. I have a rosary hanging from my mirror, and I love that little reminder! And indeed, I think oftentimes people see that and it draws their thoughts to the spiritual realm. Good stuff!